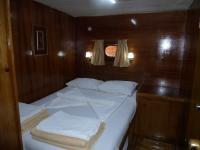 This information is provided by Meridian Travels and Yachting. Please confirm all details direct with them prior to booking. Yachting Limited neither endorses Meridian Travels and Yachting nor guarantees the accuracy of this listing. At Meridian Travels & Yachting, our land and sea based teams do all they can to ensure you have a wonderful holiday. 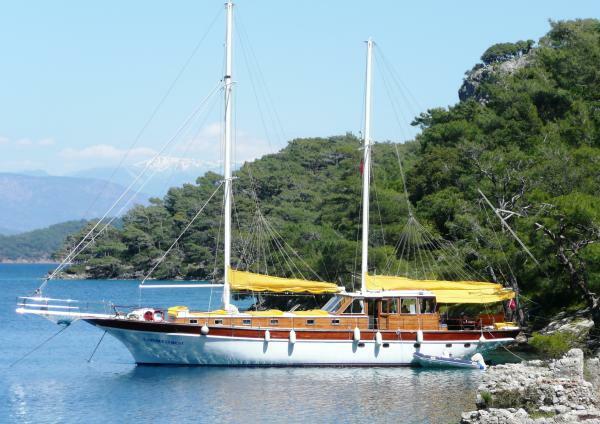 We are Gulet Charter Specialists and have created some unique itineraries including; Wellness Cruise (complete with onboard massage therapist); Walk & Cruise (complete with walking guide to show you this beautiful coastline) and Activity Cruise (including scuba diving, sea kayaking and more). 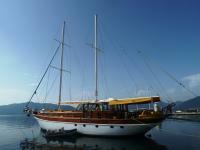 Join us onboard our 9 cabin gulet East Meets West. As specialists in this area, we can organise gulets with between 4 and 9 cabins, luxury and standard from all main ports. Onboard East Meets West you will find 4 twin and 5 double cabins, each with individually controlled air-conditioning, private en-suite bathrooms with home-style toilet, shower and hairdryer. There is plenty of room for sunbathing and relaxing on the fore and aft deck. 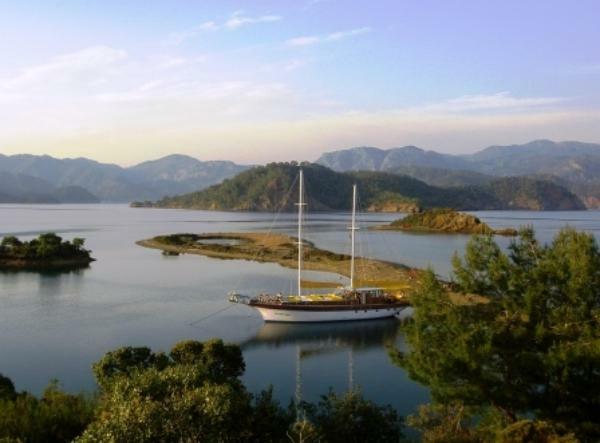 Choose how to spend your time - maybe you will just relax in the sun with a good book, swimming and snorkelling in the beautiful coves and bays. Or perhaps you have fun with our canoe and windsurfer . We have extensive knowledge of the local mountains and can recommend many walks for the more active of you. The quality of our food is very important to us and is prepared by our onboard chef using the freshest of local ingredients. Your meals consisting of breakfast, lunch, dinner and afternoon tea with cake are included in the charter price. But perhaps the most important ingredient of all is the crew. 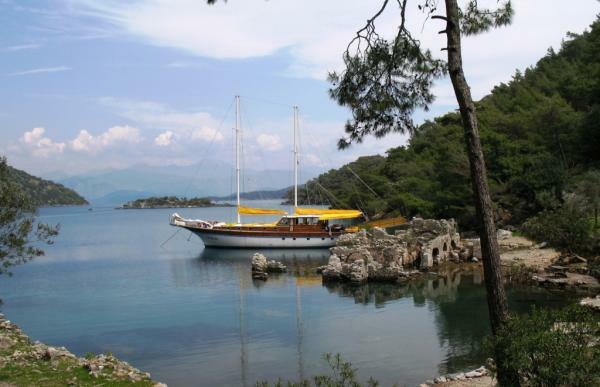 Our Captain, cook sailor and host are friendly, relaxed and do all they can to ensure you have a fantastic holiday. The details of the yachts below are indicative. The specifications (including the number of berths, cabins and heads) of Meridian Travels and Yachting's yachts may vary. Please confirm the details with Meridian Travels and Yachting. There are no user reviews for Meridian Travels and Yachting yet. Be the first to add a review.